Find the hidden words in this Henry and Mudge-themed word search. Created by Simon and Schuster Children's Books. Find more Henry and Mudge books. 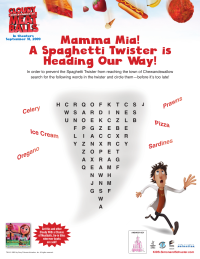 Find all the words you can is this Cloudy With a Chance of Meatballs-themed word search. Provided by Simon and Schuster for Educators. 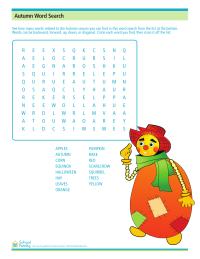 Find autumn related terms in this word search activity. 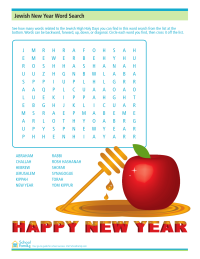 Celebrate the Jewish New Year with this Rosh Hashanah-themed word search. 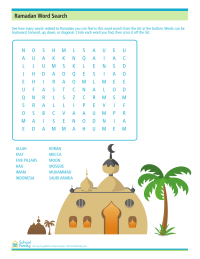 Find Ramadan and Islam-related terms in this word search activity.